Online ordering menu for ALEXANDRIA GRILL. Welcome to Alexandria Mediterranean Grill, a unique blend of Mediterranean cuisine never seen before in the Space Coast. Here at Alexandria, food is our life and our Love, and as a family owned and operated restaurant, we know a thing or two about both. Our menu is masterfully cultivated by mending our family's cherished Middle Eastern dishes mixed with the romance of Italian cuisine, creating a unique an flavorful dinning experience. Make sure to try our local favorites like the Shish Tawook-- Skewers of marinated chicken breast seasoned with Mediterranean herbs served with basmati rice served with garlic lemon sauce. Add an order of Mussels and Baba Ganoush to complete any meal! Alexandria Grill is located near the intersection of Jordan Blass Dr. and N. Wickham Rd., at the Centre At Suntree, right next to Moon Golf and just east of Suntree Elementary School. 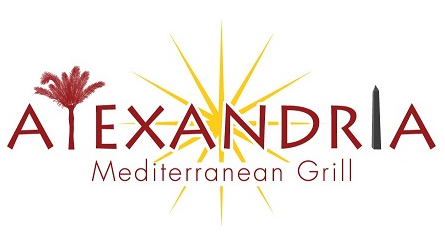 Order Alexandria Mediterranean Grill Online Today!